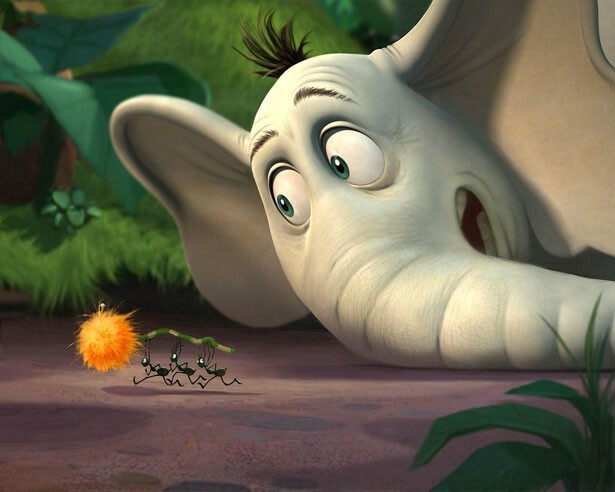 When Fox's big-budget animated version of Dr. Seuss' Horton Hears a Who opens this Friday, audiences will hear the voices of stars like Jim Carrey and Steve Carell. But some of the images of cavorting critters they'll see on screen come from the Burlington studio of freelance animator Jason Taylor. The 31-year-old says moviegoers will see his work in "the mayor of Whoville, in Morton - which is a little blue mouse, sidekick of Horton" - and various other characters. He describes his job as "taking the characters they've designed and making them move and talk. [The filmmakers] will send me these files, the storyboard. I do it up nice and then send it back to them. They plug it into the movie." Right now, Taylor is working on shots featuring "a bear character and a deer character" for Open Season 2, scheduled for release in 2009. While "the characters get decided in pre-design," he says, "I make up the performance. I'm kind of like the actor behind the character." Though he tries to "work in animal stuff in the way they move," he also videotapes himself to visualize the characters' humanoid expressions - for instance, "the way my eyes move a certain way when I'm thinking something." Another ingredient is a prerecorded track featuring the voice actors: "I have to be aware of all those inflections in their voice and interpret what the character's doing." Taylor returned to Vermont just last June and got married. A skier and snowboarder, he says, "being able to be in Vermont and do this is kind of the ultimate goal." But his longer-term objective is "to start a small studio. The cost of living is so affordable here compared to L.A. There's a lot of people with families in L.A. who don't like to be there." Right now, Taylor spends about five hours a week teaching aspiring animators via an online school called Animationmentor.com. Trained in traditional art techniques, Taylor says those skills come first in his business, and technical know-how follows: "You can't really replace [drawing]. Before you do anything in the computer, you kind of do a little sketch." What animators do need more than other visual artists is the patience to complete brief film shots that require a new "drawing or a pose 24 times every second," Taylor says. "It's not an easy thing to do."